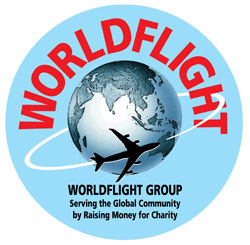 The annual World Flight event is one of the major orchestrated large-scale air traffic simulation efforts in the world. Over seven days, about ten full-scale flight decks with dozens of rotating pilots fly a preset route over the globe, escorted by up to a hundred other planes through the virtual skies. Thanks to network technology, all planes see each other, and the virtual air traffic controllers have their hands full sorting out the busy traffic. For several years, the Australian team has been using ACARS to keep a tight link between their Dispatch Service and their flight deck. If you think this is silly, remember that these guys do things properly and if you run a 24-hour non-stop operation for seven days, you get independent units. They do the flight, the Dispatch ("home base"), and the ATC from a factory building near Sydney -- and it is not exactly all in the same room. The Australian Dispatch Office can and will also provide services to other flights as long as they help them out by adhering to a few simple rules. The same obviously also holds for the ATC services (augmented by local controllers whenever available; locals get priority). Not in all cases, voice contact is preferred. Many jobs are hugely simplified when you have textual records of requests and replies. Enter ACARS: the aviation equivalent of mobile phone texting. Pilots and controllers who want to participate in World Flight do not necessarily need to use ACARS and/or CPDLC. The normal voice-based systems will be fully operational. ACARS is only used to augment some parts of the operations, especially the Dispatch processes. CPDLC is used by ATC in some areas, especially over the oceans, where radar cover is missing and voice communications are tough, slow, and cumbersome. If you just want to see what this is all about, go visit the transcript example and see whether you like it. The most important three rules are about call signs on the ACARS system. Aircraft use their ATC call sign. Usually this is three letters and a few figures. Keep your ACARS call sign ("flight number") the same as your VATSIM call sign and it is all okay. The systems are not connected, but many people will look at both VATSIM and ACARS in parallel and keeping the same call signs prevents confusion. Dispatch units use a three-letter call sign which usually equals the three letters of their aircraft, i.e., KLM or BAW, etc. When not related to a specific (virtual) airline, other three-letter call signs are used. The WFD (World Flight Dispatch) station is generally online during the whole event and serves friendly requests all the time. Put "WFD" in the "company" field of the ACARS preflight page, and you're set. ATC units use their four-letter ICAO code. This is not their VATSIM callsign, as only large regions are served by ACARS, not individual sectors. 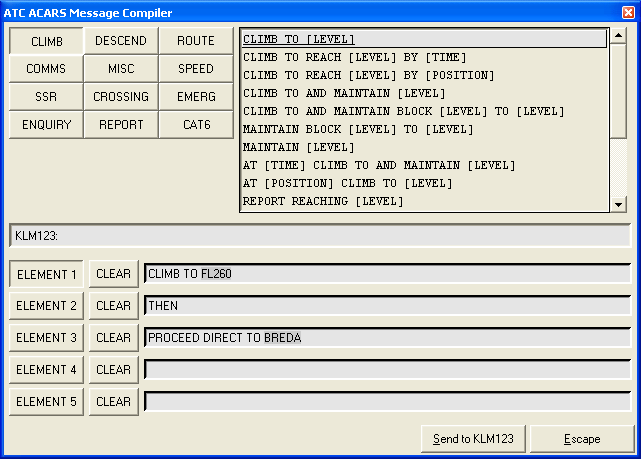 ATC may use just ACARS (telex) messages, but often they will also use CPDLC, a more formalized message exchange with pre-set message lists. If ATC offers ACARS services, this is announced in their ATIS. Communication with your dispatch office can be informal by straightforward telex messages, or you just pick up the materials they have prepared for you such as an FMC route. Only PS1 pilots can use these FMC routes from ACARS; MSFS pilots need to download them separately from the WorldFlight web site. 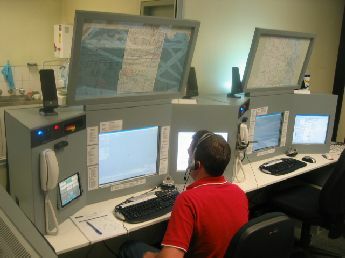 The ACARS system provides for a couple of services that your dispatch office may or may not offer, such as dispatch releases (the company equivalent of an ATC departure clearance), final load figures prepared by the loading crew even after you pushed out, and arrival information such as planned gate and crew changes. You can access these via pushbuttons on your MCDU in the "Requests" section. If you have questions on the WFD dispatch services, please go to the open World Flight forum and simply ask. Weather report and forecast services are also provided, but weather comes from the system itself (NOAA servers) and does not need dispatch or ATC intervention. You get real-world, up-to-date METAR, TAF, and SHORTTAF reports wherever available. One ATC service also comes via ACARS, but it is a biggie. The Pre-Departure Clearance (PDC) is a major tool to reduce the load on the airport's clearance delivery position when a hundred planes want to leave more or less in the same hour. You can request a PDC via ACARS using the dedicated page, which produces a standardized request which will help ATC people a lot. But of course you can also just send them a telex. You can send telex messages to any ACARS call sign online with the system (not related to being online with VATSIM), also other planes. Please don't abuse this service. You might not have much to do at that moment, but other crews (especially those in the full-size flight decks) might be doing their descent briefing or have other work that does not allow a relaxed chat session. One important but quite invisible part of ACARS is the automatic reporting it does. Two report types are sent without the pilot's intervention: OOOI reports (Out/Off/On/In) to relay the flight's progress to its dispatch office, and ADS reports (Automatic Dependent Surveillance) to ground trackers which essentially replace radar over the oceanic areas. These reports are used by background systems which keep web sites up to date on your position and such. If your aircraft joins a major part of World Flight, just request to be tracked (preferably before the event), and you can integrate pretty reports and images in your own web site. Only if ACARS contact has been established, airplanes and ATS units may decide to engage in a structured message-passing dialog called Controller-Pilot Data Link Communications. You will be invited to join CPDLC by a voice request from ATC. Use the ATC button on the MCDU and log on to the ATS unit using the provided four-letter ICAO call sign. The controller will receive your logon request, and after a short while communication will be established. When you are logged on to an ATS unit, typically you do not use voice any longer and can drop the speaker volume, just as with SELCAL-based voice systems. 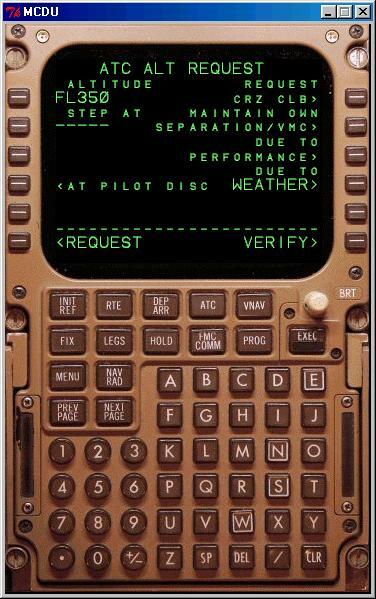 You send requests to ATC and receive clearances and instructions via the ACARS message system, but in structured messages and not in free text. Your MCDU will alert you to incoming messages and you just follow up by rejecting or accepting instructions. Handover to subsequent CPDLC areas is done by ATC but the pilots do not need to notice, it is all automated. When ATC terminates a CPDLC session, they first should direct the aircraft to establish voice communications and verify that these are okay. CPDLC is a complex system, more complex than it might seem at the surface. Please toy around a bit with all the options and review what would be sent out to see what you can do, both controllers and pilots. It is an awful lot. If you think the interface isn't pretty, you're right. However this is very closely a copy of the real-life interface controllers use in the Australian ATC CPDLC system. Professional systems usually aren't pretty.